Now, no bikes I can understand, no dogs too but no footpath! Technically it’s probably correct but this is Open Access Land over which we have the freedom to roam. Clearly, it is intended to intimidate walkers into keeping away. 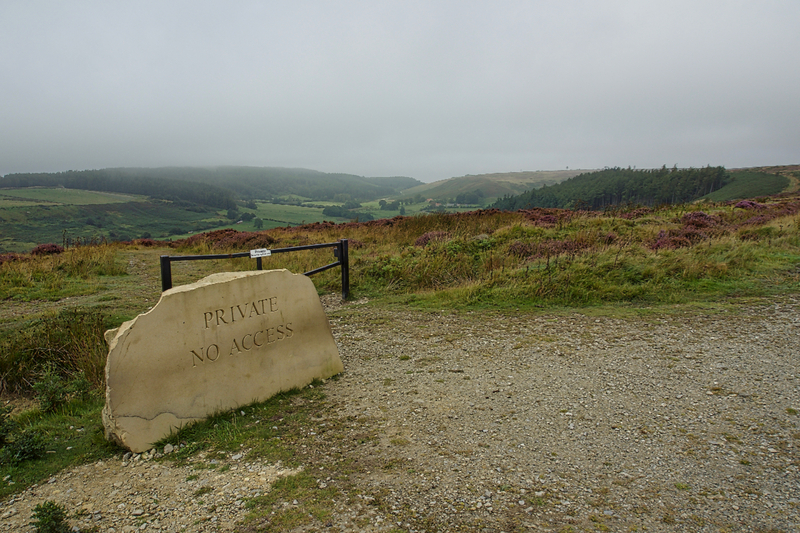 On the way back I took in Percy Rigg over Kildale Moor and came across the missing sandstone “PRIVATE NO ACCESS” sign. Or its twin. Maybe I’m not going doolally after all. I just had to take a photo in case it moves again. Way over the top. 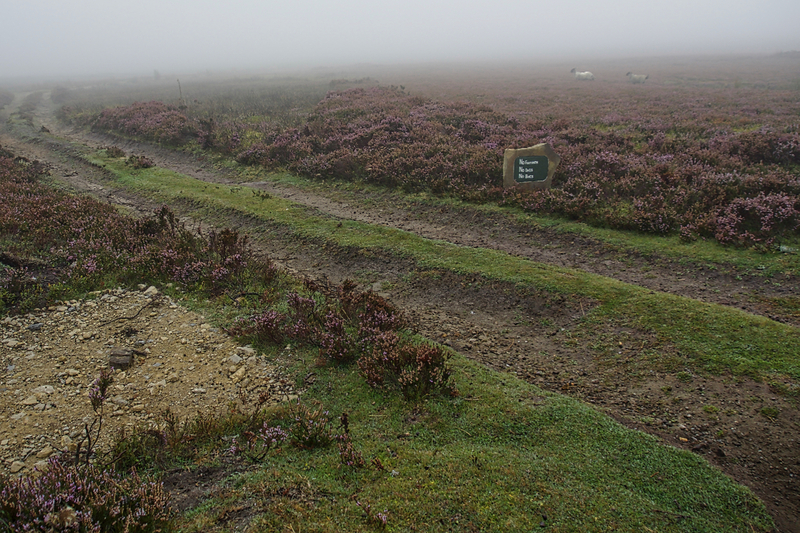 The siting of this stone is actually on the boundary of Open Access Land which is to the right in the photo below. 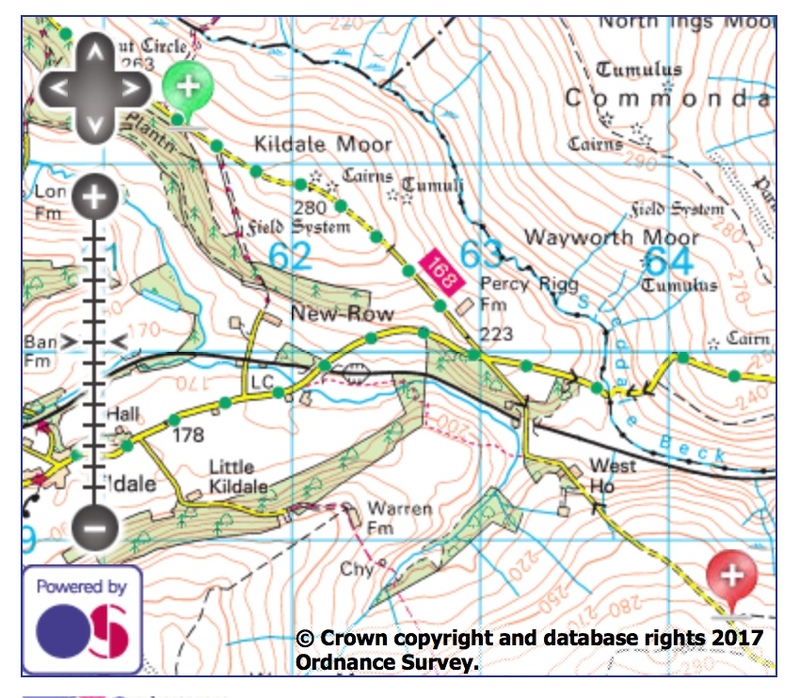 To its left is a small area of heather moorland which somehow escaped Open Access designation. An anomaly. Either way, the intention is clearly to discourage walkers from enjoying their freedom to roam. They’re a red rag to a bull to me. The small ‘No Footpath’ has now been removed. I communicated my concerns with the NYMNP ranger for the area and they spoke to the land agent for the estate who promised it would be taken down, which they have now done. On the topic of the large rock originally in position this said ‘No Vehicle Access’ and is not the one on Percy Rigg, different rock. I understand that that patch of moorland next to that stone sign, between the road and the wood, used to be forestry. It was cleared in the late 90s to move the tree line down the hill and restore the heather on the top. Presumably because of the landscape issue with having straight line forestry boundaries over the tops of hills. That might be why it’s escaped designation as open access. Thanks for that info. Must have run past in hundreds of times in the 90s but just can’t remember.